An elaborately detailed floor lamp with the look of a French antique. This floor lamp features elaborate details and has the look of a French antique. The distressed faux wood finish on the traditional candlestick-style lamp brings a feeling of European elegance to a space. The combination of the refined look of the floor lamp and the glow created by the faux silk bell shade makes this style the perfect addition to traditional interiors. From the Regency Hill collection of floor lamps. Overall: 62" high. Base is 9" wide. Shade is 11" across top, 17" across bottom and 12" slant. Takes one maximum 150 watt bulb (not included). On-off rotary switch. Traditional floor lamp by Regency Hill. Inspired by French country styles. Distressed faux wood finish. Cast resin construction. Had detail we were looking for and was in our price range. Looks pretty online and excited to see when it is delivered. I'm into French country. I liked the gold shade. It’s appropriate for my very French inspired bedroom, and...it’s very pretty! Reviews, and it looks pretty. Love French Country. Looks like a quality lamp. Very pretty lamp that will blend well with the décor in the dressing room and provides adequate light for a dark room. 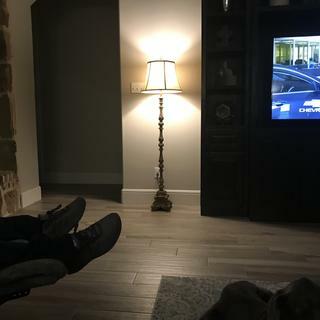 can a rod extension be added to its height so that it fits a 21" shade? BEST ANSWER: A taller harp could be used with risers if the idea is to raise the shade if in fact, that is the idea. That would work provided the lamp used a saddle to support the harp and shade. If the shade is supported by a single rod, the rod could always be raised by use of a longer rod or coupler and whatever length rod is necessary to achieve the desired results. Also, I am not "Doyle". I am Steve. This is not Doyle's email. This is a lovely floor lamp. Very nice detail. Very easy to assemble. I'm really pleased with this purchase. The color is slightly different in person than in the photo. I had been looking for a decorative floor lamp that was not too expensive. I found it in this lamp. It is well made and beautiful. I loved it so much I bought 3 of them for different areas of my house. Service was very professional. A pleasure to do business with. Would buy from again without hesitation. No problems with delivery...arrived on time as expected. 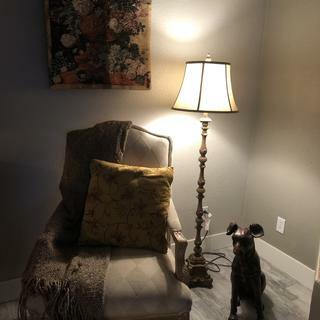 I purchased this lamp for the reading area in the living room. It is just the right height for next to the wingback chair and looks great in the room. The room has traditional furniture in white upholstery, bleached ash wood, and Louis XIV antiques. It blends in nicely. Easy to assemble and looks beautiful. Wish I had bought another one like this instead of one on sale that ended up being defective. 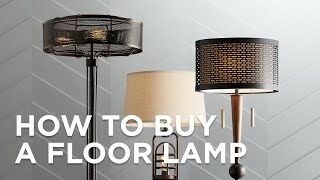 The place to go for cheap quality lamps ! Absolutely love it ! You can’t find anything this nice and affordable anywhere else ! 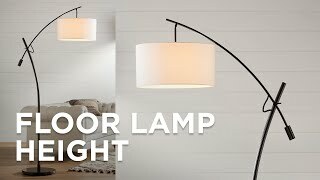 Easy to assemble, very sturdy, beautiful lamp and shade. Looks much more expensive than it was. Came quickly as well. Very happy with purchase. Awesome Lamp! I am so pleased with my purchase! It is wonderful for lighting up the living room area of my apartment now, and Is the only light I turn on at night. Before I used 3 lights to light up the apartment! What a difference! Beautiful design that matches my room and certainly does the job for me!! 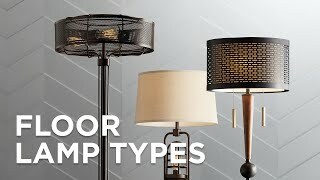 Thank you, LampsPlus!! Adds so much to our space!! We bought two of these lamps to replace older ones. Well made and very pretty. Just what we wanted. We got two of these lamps and they are just what we were wanting!! Well made and pretty. Classic and elegantthis candlestick floor lamp features crystal glass details.